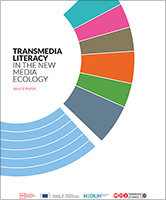 The use of digital media in the classroom is not enough to guarantee the young’s involvement. On the contrary, the creation of a spontaneous and genuine emotional environment is the key factor to develop meaningful interactions. 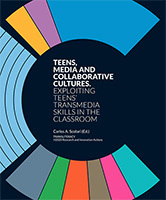 Involving teens’ transmedia skills in the classroom suppose teachers’ emotional disclosure and your availability to share beliefs, opinions and viewpoints, and to tell personal information or stories as well. Teachers who believe in their efficacy to create more authentic and innovative learning experiences will be able to be empathic toward their students. Teachers are required to enter the culture of youth, getting to know their media habits, the products they enjoy, the contexts in which they use specific tools compared to others, and the motivation behind their choice of use. You have to interpret the educational ecosystems in which your students work, and build the learning path together with your students, taking into account all those factors that require a constant change in plans either in the classroom in general or for an individual student. Select activities closely connected to your curriculum. The cards should allow you to introduce or develop content directly related to your learning objectives on the topic that you're teaching right now. If you find an activity that fits well with a future unit, bookmark it and move on! Use the bookmarking system to create a collection of cards for future use. After class, take a few moments to reflect on how the activity went. Were the students engaged? Take notes on what you will do differently next time. Involve your students in the review process. Assessing the value of a web-based resource is a critical 21st-century skill. You can contribute to the platform, by uploading new cards or adding a comment to those already available online. The Teachers’ Kit provides a simple tool to upload a new card and share it with the educational community.